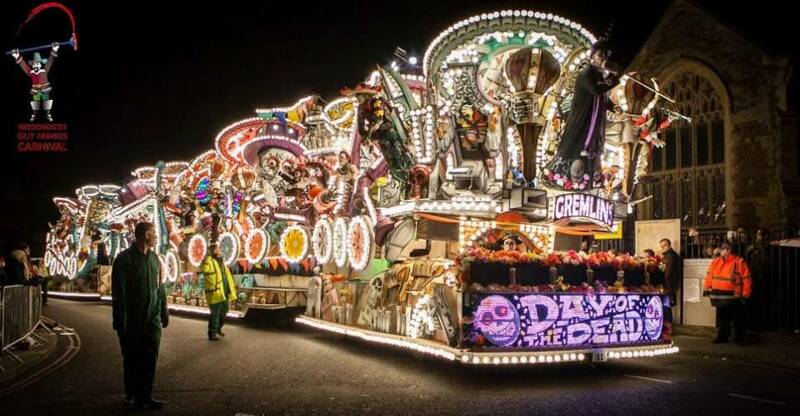 Samba Galêz will once again be entertaining the crowds at Bridgewater Carnival, one of Europe’s largest annual illuminated carnival processions. The parade of illuminated carts is part of an ancient tradition, which stretches back as far as the 1600’s when many parts of Somerset commemorated the Gunpowder plot. Grand firework displays and street entertainment adds to the sense of fiesta and fun.